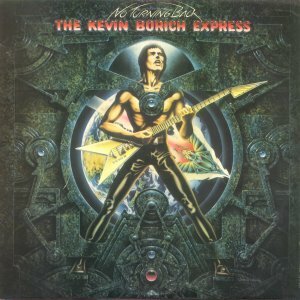 The Kevin Borich Express was around between 1976 and 1985. The band, usually a trio, had approximately eighteen different musicians playing in various combinations. Kevin first appeared in Auckland in 1965 as a member of the La De Da's. They moved to Australia in 1968 and over the next two years built a strong following. In 1970 they set out for London, but found the overseas market difficult to crack, so returned to Australia a year later. In 1972, two of the members left, reducing the band to a three piece. It was at this point that the new Borich style began to emerge when Kevin found it necessary to concentrate more on his playing to provide a more complete sound than just plain lead guitar. The new look La De Da's developed an even bigger following and had a number of successful records before splitting in mid 1975. After the split, Kevin had a small stint with John Paul Young and the All Stars. 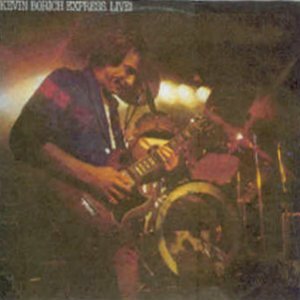 Kevin attempted to form a new group and by mid 1976, the Express was formed with Harry and Barry. This line-up was very short lived and the only known recording by them was "The End Of Me". This song would eventually appear on the various artists compilation album "Australian Guitar Album". Reuben San Fiansco, on bass, and Gil Matthews, on drums, replaced Harry and Barry. Matthews only stayed for a handful of gigs before returning to his seat with Billy Thorpe and the Aztecs. He was replaced by John Annas on drums in July 1976. The band was signed by Image Records and in October 1976 the first single "I'm Going Somewhere"/"Scene From Star Crossed Lovers" was released. The song was introduced by a train whistle sound and it became the band's signature tune. Tim Partridge took over from San Fiansco and the new line-up completed the debut album "Celebration". Released in March 1977, a second single "Goin' Down Town" was issued. In July 1977 they recorded the "Lonely One" album. On its completion, Tim Partridge left the trio. 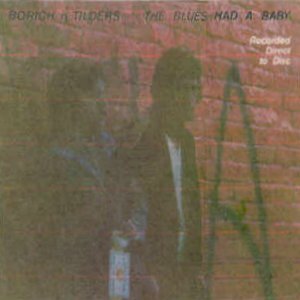 He was initially replaced by Tim Ayers from the Renee Geyer Band and then Bob Jackson. The single "Tango Queen" was released in November. Bob only lasted until March 1978, when he was replaced by Paul Christie. 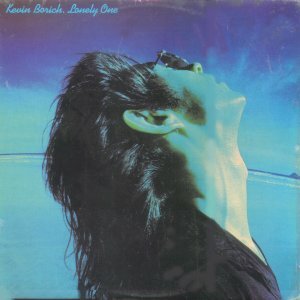 Following a farewell concert in Melbourne late in May, the Kevin Borich Express headed for the US where they toured extensively. In the US keyboardist Tim Schafer was added. The bands last single for Image was "Tell Me Why" in February 1978 and their first for Mercury/Polygram was "No Turning Back" in November 1978, followed by an album of the same name in January 1979. Early in 1979 the band returned to Australia. Tim Schafer returned to the US making the band a three piece again. Paul Christie also left (later to join Mondo Rock) and was replaced initially by Lindsay Osbourne before original member Tim Partridge returned. This line-up toured Europe and England and recorded the album "Live" before John Annas left upon their return. He was replaced by John Watson. More singles were released during 1979 before moving to Festival, where the recorded album "Live" was released in November. Another five albums were produced during 1980 and 1981 with numerous singles coming from them. During this period further line-up changes took place. Following Tim Partridge's departure in April 1980, bass player Michael Deep joined. Kerry Jacobsen, from Dragon, replaced Watson, until John Annas returned in mid 1982. Steve Balbi replaced Deep on bass and Andy Cohen, keyboards and sax, joined the group in 1982. Also during 1980 Kevin played with Marc and Todd Hunter from Dragon in the Headhunters. By mid 1984 the line-up was back to a trio of Borich, Balbi and Adrian Cannon on drums. 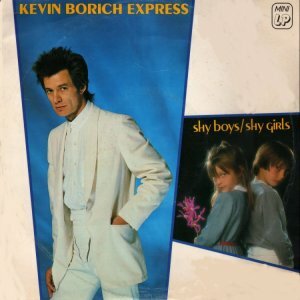 In 1985 Kevin Borich slowed the Express down and joined Paul Christie in the part-time group, the Party Boys. He toured with them and also in the Jimmy Barnes band. Kevin has reactivated the Express on several occasions during the nineties and still remains as one of the most accomplished guitar players Australia or New Zealand has seen. In 1996 a double compilation CD, called "Goin' Down Town", was released and contained his complete first two albums from 1977, "Celebration" and "Lonely One".